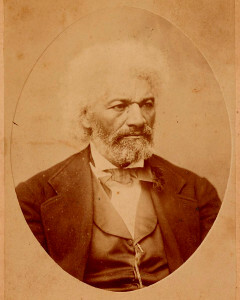 Douglass maintained a fond and lively correspondence with Harriet Beecher Stowe during her Andover years, and visited her here. He hoped that she would invest some of her Uncle Tom proceeds in his plans for training schools for freed slaves. She apparently never did, but they maintained a firm friendship, even while his relationships with others, including Garrison, floundered.